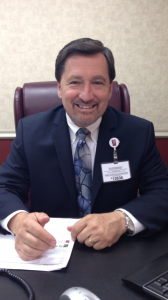 PARAMOUNT, CALIFORNIA (June 20, 2013) – Promise Healthcare, a leading national long-term acute care (LTAC) hospital company, announced the appointment of Michael Kerr as Chief Executive Officer of its Promise Hospital of East Los Angeles facility. Serving most recently as Chief Executive Officer of Kindred Hospital in Westminster, California, Kerr brings more than 25 years of senior healthcare management experience to his new role at Promise Hospital. He has held CEO and various senior leadership positions at several specialty hospitals, including Executive Director for Kindred Hospitals in the Southern California area. Kerr’s responsibilities at Promise will include providing strategic leadership for all clinical operations, establishing and executing goals that directly impact hospital operations and patient care, physician development and business growth. Kerr earned a Bachelor of Arts in Business Administration at Utah State University and a Master of Public Health, Health Services Administration at UCLA. Promise Hospital of East Los Angeles specializes in high acuity long-term hospital care for patients suffering from the most complex of medical conditions. The hospital’s distinctive LTAC environment provides acute medical and aggressive therapy services for patients who require an average length of stay of 25 days or more. Promise concentrates on acute respiratory/pulmonary care (including ventilator management and weaning), infectious disease management (including long-term IV antibiotics), advanced wound management, complex medical management, and treatment for multi-organ failure and post-surgical complications. For more information, admissions, or physician referrals, contact Maria Morales-Stewart at 562-408-7402 or visit www.promiseeastla.com.